The student Safe School Council’s aim is to strive to create an environment in the school community where all students feel safe and understood. We started off the school year with a challenging task: to create selfie boards based on our school anti-bullying motto, “Stand as one”. This was a fun and interactive activity that required all of our committed Safe School Council members to come together as groups to design and make these three fantastic boards. This activity took up a lot of time, energy, and effort from all of the members that came together in their own time to finish them on time to take them around the school. 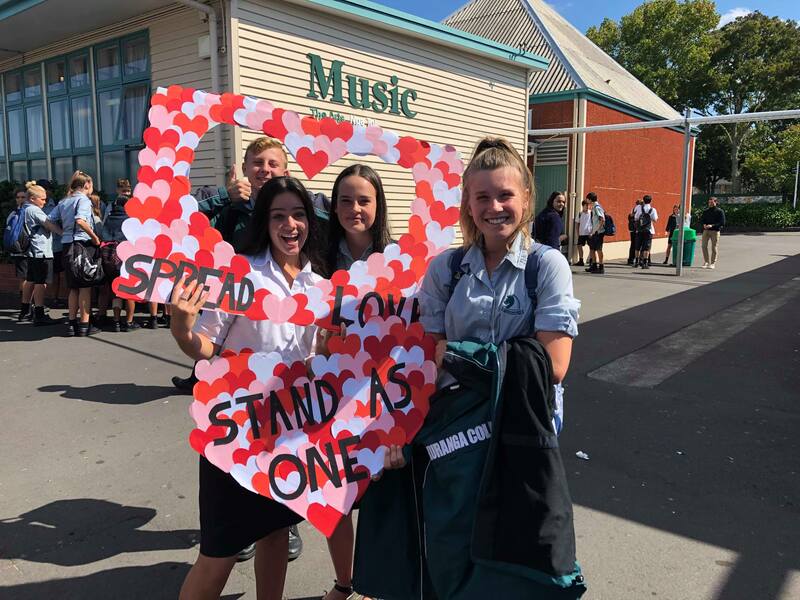 Once the boards were completed, we split up into three groups to take the individual selfie boards around the school to take pictures and highlight the ‘Stand as one’ message. The responses we got from the various students at Pakuranga College were so positive and all were ecstatic to take photos with our completed masterpieces. This activity was a fun and creative way to spread awareness of bullying online, as well as standing together as a community, and supporting each other through tough times and great. The positive response we received indicated that it was extremely successful, gaining heaps of encouraging attention. We figure it is safe to say that the start of the year for the Safe School Council is a very positive one. See our Safe School Selfies HERE.